Expand search to view more listings in and around Chesapeake. 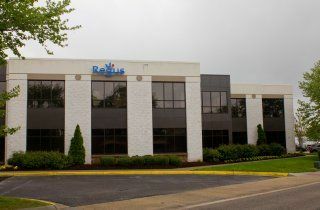 See more offices in and around Chesapeake. Offices.net is pleased to present 2 exceptional office buildings, situated in highly sought after Chesapeake, VA locations. These offices are available on flexible contracts with the option to move right in and all the services you wish to choose, without the hassle of a long term conventional office space lease. Offices.net offers businesses of any size the simplest, quickest and most affordable way to secure professional office space in Chesapeake, Virginia. Many of our office space and business premises come with a wide range of facilities included, and flexible rental contracts that are made to suit you. Our team works hard to ensure that the process is as simple as possible for our clients. Most of the offices we list offer a wide range of business support services which include telecommunications set up, internet and network wiring, professional manned reception and office administration personnel and, in some cases, IT support staff. On top of this, numerous business centers also provide conference and meeting room services with free car parking, kitchen areas and, in some cases, even onsite gyms. 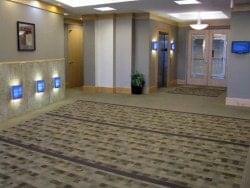 Just choose any of the offices to rent in Chesapeake shown on this page. Every one of the offices boasts an excellent business position in Chesapeake, on flexible terms to suit your exact office space needs. Simply contact us using the number or form above and we'll be happy to give you some locations in and around Chesapeake.